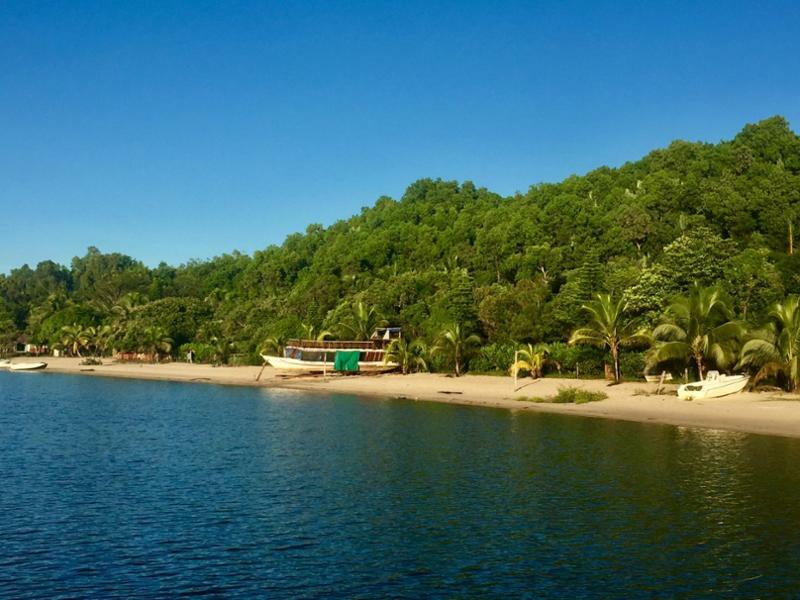 Manambato is a unique destination, nestled in a hardly accessible village by the shores of a freshwater lake sublimated by a fine sandy beach. 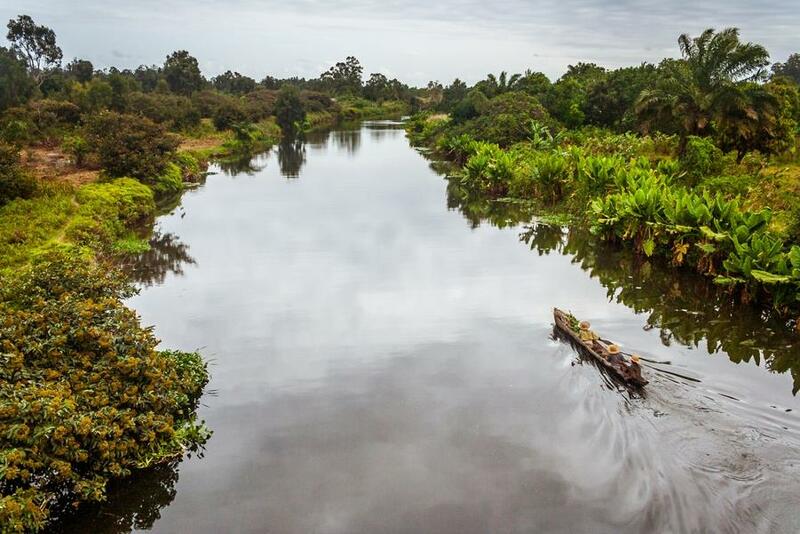 Calm and peaceful, this attractive setting is a must-see during a trip to Madagascar. To get to this lost paradise from Antananarivo, you must take the RN2 national road heading eastward. About 10 km from Brickaville at a fork, take the road that leads to the seaside village of Manambato. It is a difficult drive and the place is almost inaccessible during the rainy season. Only off-road vehicles can make it! The village is located on the shores of Lake Rasoabe, named after the first wife of the giant Darafify. The latter would have installed Rasoabe on the lakeshore where she would have worked in the rice fields, but she would have cheated on him in his absence. The husband, mad with anger, would then have drowned her in the lake. On the bed of the river, the cursed wife would have built a village with her slaves. When the water is calm, some people say they see falafa houses (traditional huts) that lie underwater. As in all sacred places in Madagascar, it is forbidden to bring in and eat pork on this site. Another fady (forbidden) is wearing gold jewellery when swimming in the lake. Furthermore, the villagers’ welcome and smile are also legendary. Wherever you go, people will greet with a “Mbarakaly e”! Swimming is of course very pleasant, and when the wind is favorable, kitesurfers can get their kicks from this activity. It is important to know that the sea is not far away! A thin strip of land separates it from the lake. The main activity of this destination consists of a boat trip to Vavory, a typical Betsimisaraka fishing village, Andevoranto, a village steeped in history, the Pangalanes Canal and the Ambila forests. Not only tranquility and nature will change your scenery, but the daily life of fishermen, the remains of the railway and rustic villages will also make you dive into a different time and a different world. These exceptional discoveries combine boat trips with hiking or cycling. Crossing the lake also leads to the Ankanin’ny Nofy peninsula, known as the “Dream Nest”, which houses the Palmarium, a private reserve composed of 100,000 endemic palm trees. This small sanctuary of nature offers an enchanting setting. Ravinala (traveler’s tree), carnivorous plants and orchids are among the plant wonders on display. As you enter this “unique” forest, you will experience a waking dream in a gently perfumed atmosphere! The site is home to an abundance of wildlife given its size. You will be able to make pleasant encounters, in this case with the Indri Indri, the world’s largest lemur, the microcebe, the world’s smallest lemur, the emblematic Maki catta, the sifaka dancer and the mythical Aye-Aye. There are also amphibians and reptiles of all kinds. 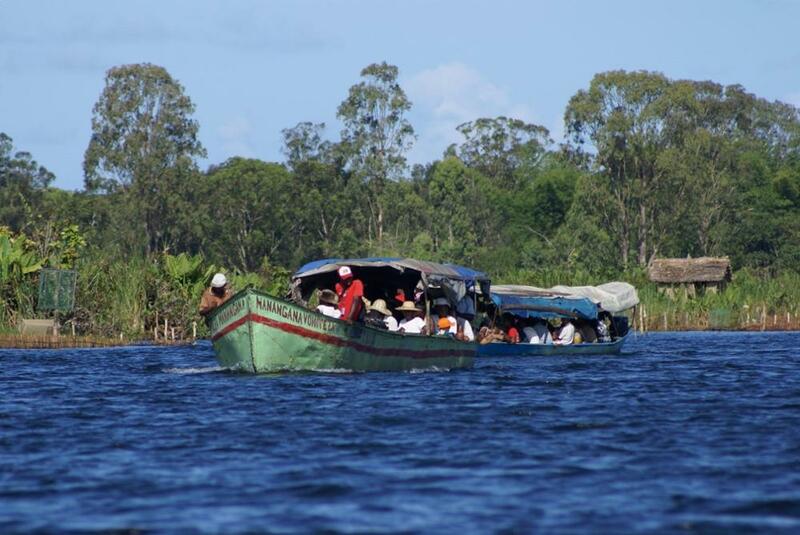 You will leave with a wonderful memory of your stay in Madagascar!